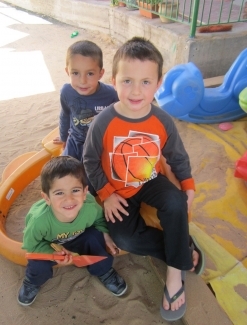 Our afternoon daycare program has been running for 20 years continuously, as part of the services offered by Kehillat Netzach Israel to the community at large. Its purpose is allowing parents to attend to their work knowing that their children are safe, comfortable and enjoying themselves in a home-like atmosphere. By using theTALI approach and resources, our staff provide a framework for the children to learn about Israeli and Jewish holidays, prayers and ceremonies. Our Summer Day Camp, NOAM youth group activities and our Bar/Batmitzva group act as continuation of this educational process. We do not simply “take care of the kids” at the afternoon day-care program. 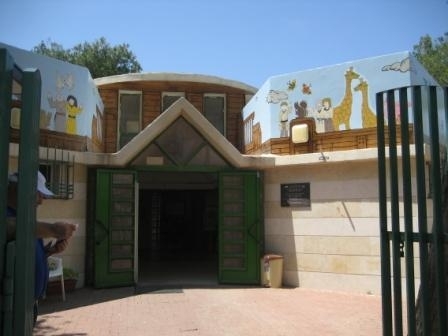 While they are with us the children participate in Story Time and enjoy cooking and crafts. We also hold various activities related to Judaism and special events such as theatre shows, movies and inflatable "bouncy castle" parties. The children receive a home-cooked lunch and afternoon snack each day, prepared in our Kosher kitchen under the supervision of the Israeli Health Ministry. Our afternoon day-care program is open even on days when Ministry of Education’s schools are closed for vacation. with special activities for holidays.